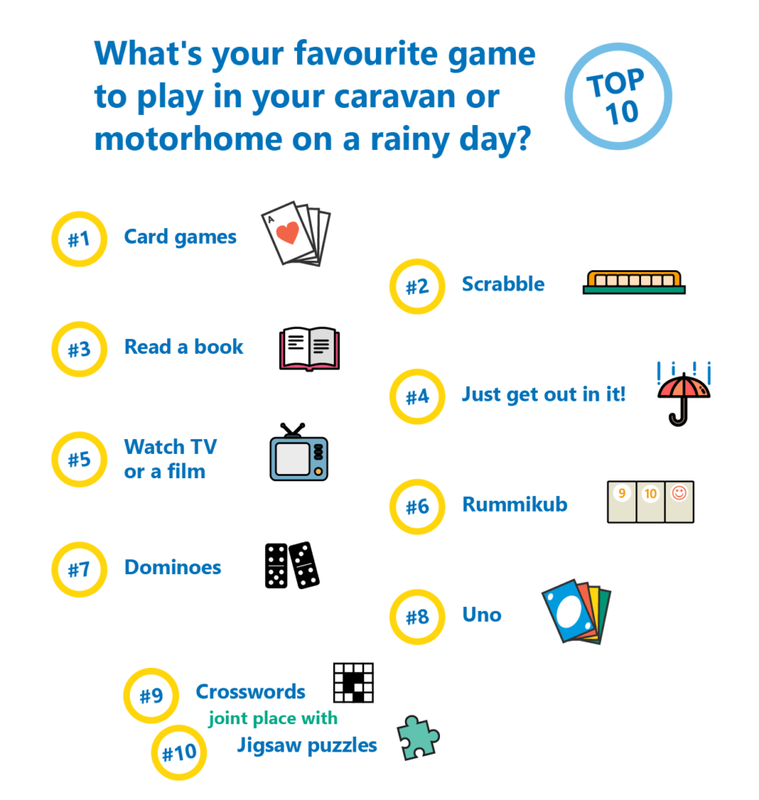 Caravanners and motorhomers reveal their top travel games to play when the weather’s wet outside. In last month’s community poll we asked which games you would get out to play on a wet and rainy day when touring. 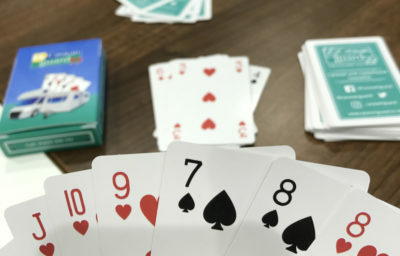 Top of the trumps for caravanners and motorhome owners was playing cards – with a 19 per cent cut of the votes. So don’t forget to visit our stand at October’s Motorhome and Caravan Show for a chance to win a pack of Caravan Guard cards in our new spin the wheel competition. Shuffling into second place was popular word game Scrabble with 11 per cent of the votes, followed closely by reading a book, rather than playing a game. 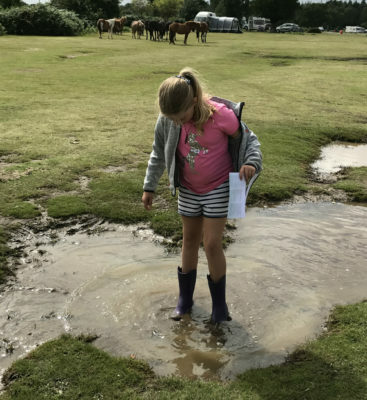 And because many caravanners love the outdoors it was no surprise to see that many voters (nine per cent) will pull on their waterproof clothing and “just get out in it” to explore their surroundings! Watching a TV or film took fifth place and then popular family strategy game Rummikub. Other popular puzzles and travel games made the top 10, including dominoes, Uno, crosswords and jigsaw puzzles. So it looks like playing cards and other compact travel games are another essential caravanning or motorhome accessory, which won’t increase the weight and will keep you entertained when the heavens open if you don’t want to venture outside! What do you make of the results? Did your favourite travel game make the cut? Let us know in the comments box below. Did anyone admit to googling other people’s caravans? That’s one of my favourite pastimes, much less intrusive than asking for a poke around someone’s van. They didn’t Jane but sounds like lots of fun! We save the quiz and crossword pages from the papers and use the iPads for wordbrain and reading library books and do the jigsaws,, we also play all our old boxed board games also backgammon and dominoes get used daily as well as reading and talking to one another but getting out in whatever the weather dishes out is most important. Thanks John. Looks like you have it all covered! Interesting, but I do not consider ‘reading a book, watching TV or getting out in the rain’ as games. Scrabble is our favourite game, but the votes are now cast. Just listening to the rain gently tapping on the roof whilst inside the pleasantly warm and cosy caravan with a cuppa is wonderfully relaxing. Thanks Peter. These activities were specified by our readers.